"Her most defining character traits is her unyielding determination, caring nature and loyalty to her friends. Sakura is portrayed as an perceptively sweet, extremely energetic and cheerful character who is well-loved, pretty, cheerful, cute and at times a naive, clumsy, and clueless. 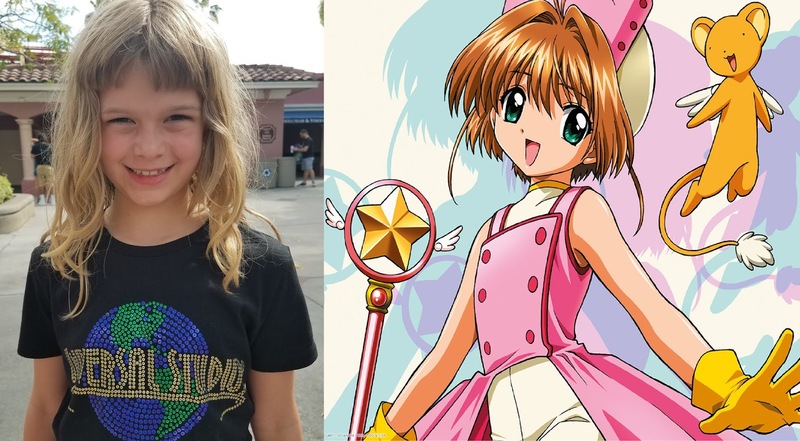 Sakura is athletically gifted and skilled in sports at school, being an excellent runner and called the "best baton twirler in school" by her friends. She hates math and is openly phasmophobic <afraid of ghosts>." I think the conclusion is clear. Based on the evidence, Kira and Sakura could be the same kid. Add to that the fact that they're both in the Fourth Grade and we have it pretty much sewn up. That's going to make watching this show real interesting.